Blogeee has got an exclusive scoop on the Samsung Gloria, which is a 10 inch tablet that would be released early next year by March – April. 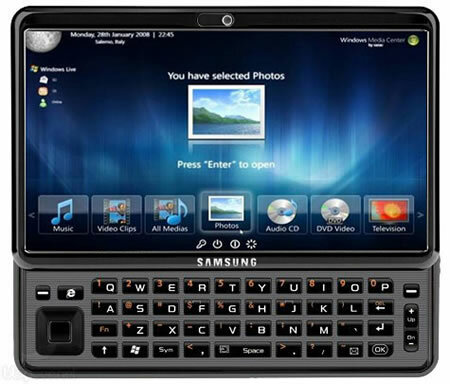 The tablet will not run on Google Android but on Windows 7 and will pack in a sliding keyboard. The device will come pre-loaded with exclusive software developed by Samsung. Further details are not know for now, but is Samsung trying to revive the long dead UMPC / MID space with some new offerings. Hopefully we can know more on the device at the CES.